"How WE built this website?" Never thought we'd be saying those words. We’re probably just like you and other car freaks you know - grew up driving, owning and loving muscle cars. And then life happened: we got jobs, got married, had a family, bought a house…and were left with little time (or money) for anything else. Sometimes we went to a drag race or car show but, for the most part, put our muscle car hobby on hold. The years flew by and we often wished we had extra money for just us two. Not a family vacation or braces or college or a wedding, something we could enjoy as a couple, like cruising together in a muscle car like we did back in high school. We thought maybe we could earn some extra cash with a home-based business. If you’ve looked into home-based businesses, you have seen the scams that are out there waiting to take your money and then leave you floundering. Even the legitimate ones will not tell you how much WORK it takes. "The business runs on autopilot and you collect the cash." In real life there isn’t time for two full time jobs so these offers sound perfect, right? NOT! Hopefully, sharing how we built THIS website will keep you from making some of the mistakes we did. Confession time: we spent hard-earned money that should have stayed in the family checkbook on 1) a real estate business course, 2) a party supply website company and 3) a home-based travel agency business. Guess what? Not one of those worked for us. The best website on the World Wide Web is useless if no one finds it and you don’t make money. These companies don’t give you the information, resources or support you need to be successful. They can't give you the extra hours you need to grow a business in your already jam-packed days. And, believe me, your family and friends can’t buy enough party supplies to keep your business afloat. So again, the idea of a home based business was put on a back burner along with the dream of owning and driving muscle cars. A few years later, an unexpected lay-off changed our world. Luckily, our family was able to survive on one income while a months-long job search went on. Our daughter was in college at the same time and we were determined to keep her there. In between job interviews, we once again researched home-based businesses. After that unsuccessful party supply venture, and a foray into part time consulting, a full time position was offered. Back to the same old 9-to-5 grind. But there was this ONE website that we visited time and time again. It seemed legitimate and didn’t promise Get Rich Quick. There were pages of positive recommendations from real people using the product right now. You could go to the people’s websites and see their work. We looked at over 30 of them. You can click on the box below to see the case studies for yourself. With the family finances somewhat back in order again, we took the plunge and purchased the product called Site Build It! The find-your-muscle-car website is the result of that leap of faith. We hope you enjoy the site and learn everything you need to know about finding your muscle car. It is truly a blast to build this website, sharing with like-minded people how and where to achieve their muscle car dream. It’s even better to share with people the opportunity to pursue their dream of working from home. Want the truth? It’s work! But it doesn’t matter; you’ll spend your time sharing your knowledge about something you really enjoy. 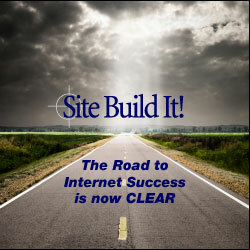 Yep, That's How We Built This Website and We Loved Doing It! It’s kind of like finding that perfect muscle car, searching for and finding parts, and gradually fixing it up, when you have time into a growling, tire-spinning beauty, worth a whole lot more than you paid for it. And just like restoring a car is time-consuming work, so is building a website. But when you love cars, you enjoy the energy, sweat and stress that result in an automotive piece of art that has your personal stamp all over it. Solo Build It! is just like that. Hard work – beautiful result. Who knows? maybe one day you'll start a conversation with someone by saying "let me tell you how we built this website..." Best of luck to you!